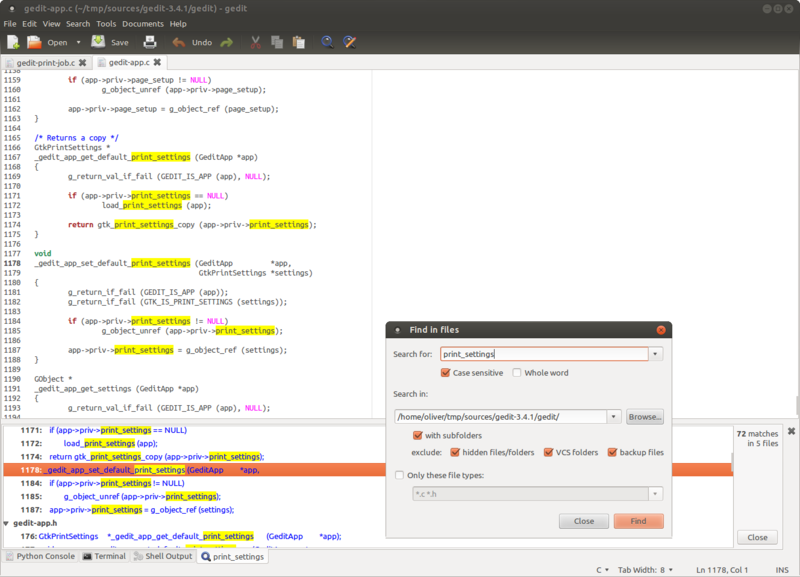 start Gedit, go to Edit -> Preferences -> Plugins, and enable "File Search"
Use Search -> Find in files, or right-click in a document and select Search files... to open the search dialog. Note: this plugin only works on Gedit 3. For Gedit 2 support, use version 0.6. Do you like the plugin? Do you hate it? What's good? What's bad? Do you have suggestions for improvement? You can browse the sources. You can download the latest source in either zip or tar formats.